We were so green and smug with our composting [all the right things], and then discovered that rats (and probably skunks) are absolutely delighted to see anything from my kitchen. I still pound up the eggshells and spread coffee grounds, but nothing else. Not today, rats! That IS a cute composting container! Now, when I have leftover latkes, I am going to store compost inside them. Reading Laura Ingalls Wilder books made me want to see the prairies in person, but I never wanted to be a pioneer myself. I like indoor plumbing. Reading Laura Ingalls Wilder books to my daughter is a whole different experience. What was adventure as a child becomes horrifying risk through the eyes of an adult. I like my indoor plumbing and vaccines, thankyouverymuch. And that is a very adorable bin. 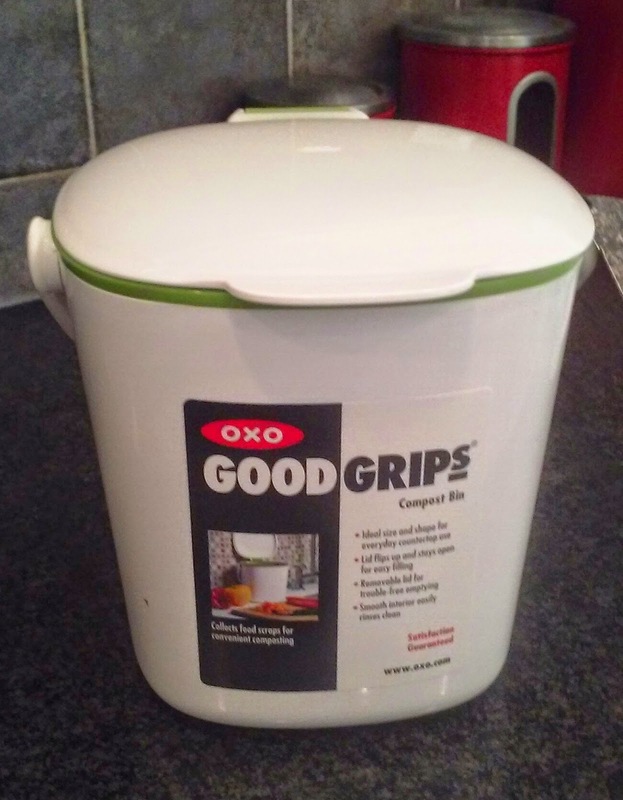 Terrific little bin! MUCH cuter than my recycled ice cream container on my counter. What a cool program.